Xenical, the brand name for 120mg capsules of the active ingredient Orlistat, is a weight loss medicine that works by reducing the amount of fat absorbed by the body. It is not a stimulant and has no effect on the brain, nor is it addictive. It is the same active ingredient as Ali slimming capsules but double the strength. A prescription medicine, it should only be taken by people who have been deemed overweight by their doctor, specifically with a BMI of 28 or above (BMI calculator). 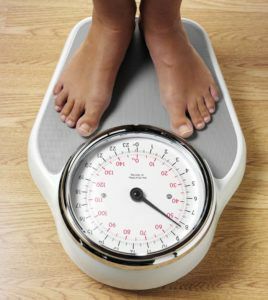 As all weight loss patients are different, it is important to see a doctor to determine the best course of action, and rule out conditions like hyperthyroidism, diabetes, and high cholesterol. Doctors can also help screen out patients with eating disorders like anorexia, as can pharmacists before supplying the medicine. Dr Fox does not provide Xenical with an online consultation, as a face-to-face visit with a pharmacist is necessary to ensure Xenical isn’t taken by anyone who isn’t actually overweight. Instead, those interested in this weight loss aid can visit www.fastdr.com, select a local pharmacy, complete a weight loss consultation form, and pay a £5 prescription fee online. The medicine is then collected and paid for at your local pharmacy. 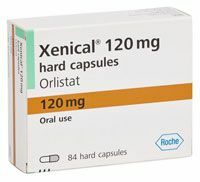 Typically Xenical/orlistat 120mg capsules are from 45p each, but check with your local Fast Doctor partner pharmacy as prices vary. When taken by the appropriate patient, and as part of a comprehensive weight loss and lifestyle improvement plan, Xenical can be very effective. In fact, when combined with a healthy diet, 4 out of 10 people taking Xenical lose 10% of their body weight in a year. People who take the capsules are considered twice as likely to lose weight than those who do not use them as part of their weight loss efforts. Xenical only works in combination with a healthy diet and exercise plan. Losing weight is never easy – it requires hard work and dedication by patients to change bad habits and become more active. However, even when committed to losing weight, progress can be slow, and this is where Xenical can help speed up the results. Take the capsule with a meal or up to one hour after a meal. *If the meal contains no fat or if you do not eat, the dose of Xenical is not necessary. Take Xenical with approximately three meals per day. Do not take Xenical with a meal in which one third of the calories come from fat. Stop taking Xenical when weight loss goal has been achieved. Consume a balanced diet with plenty of fruits and vegetables while taking Xenical as it can reduce the absorption of vitamins, or supplement with a daily multivitamin. Xenical should not be taken by anyone with a BMI of less than 28. 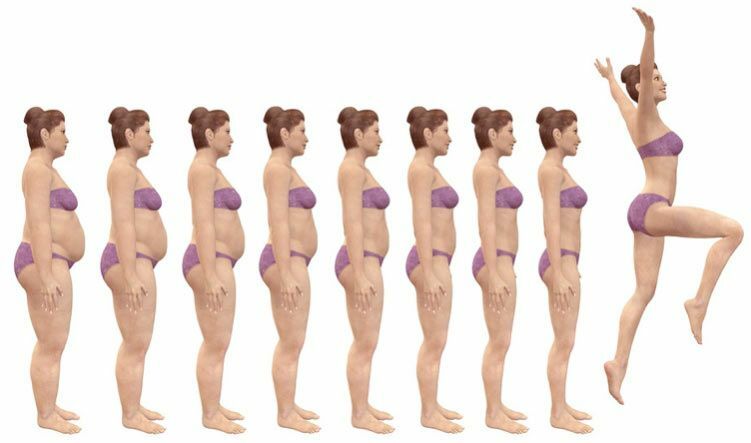 Use of the capsules should be discontinued if 5% body weight loss is not achieved during the first 12 weeks of use, as it is unlikely that it will be successful after that time. *Please note that patients who are diabetic or taking antiepileptic medicines may benefit from Xenical but should consult with their GPs in advance. Because Xenical blocks fat absorption by the body, an increased amount of fat passes straight through the digestive system, and this can cause side effects. The most common side effects reported are abdominal pain or discomfort, flatulence with discharge, stools that are oily or fatty, diarrhoea and low blood sugar (which can occur in people with type 2 diabetes). The Xenical Patient Information Leaflet contains further details. Is your weight affecting your relationship? Posted on July 13, 2016 July 13, 2016 by Dr Tony Steele in Weight loss.